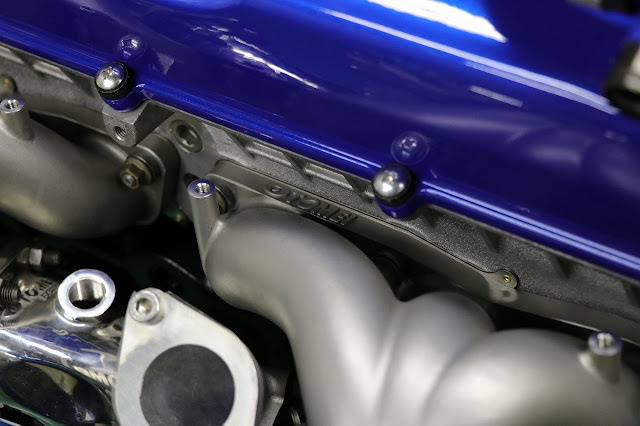 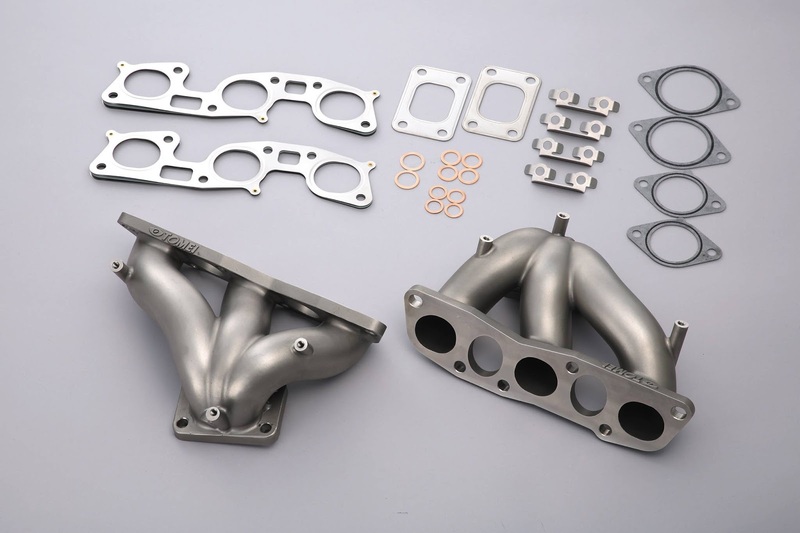 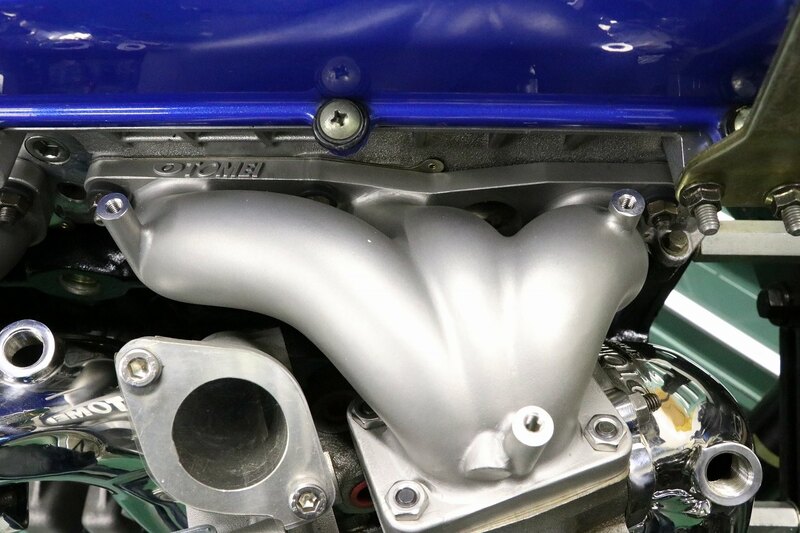 Releasing next week are Tomei's new cast exhaust manifolds for the RB26. 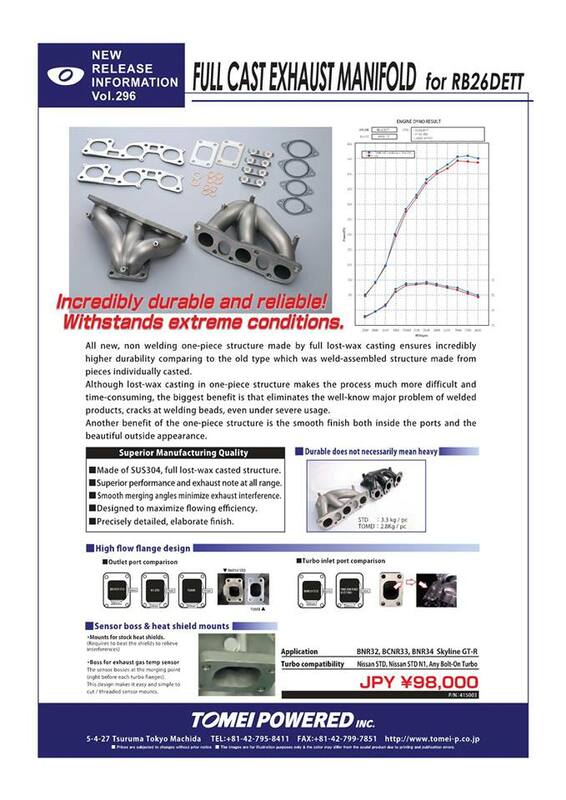 If you are running the stock twin turbos, and are replacing the stock turbos, then these might be a good idea. 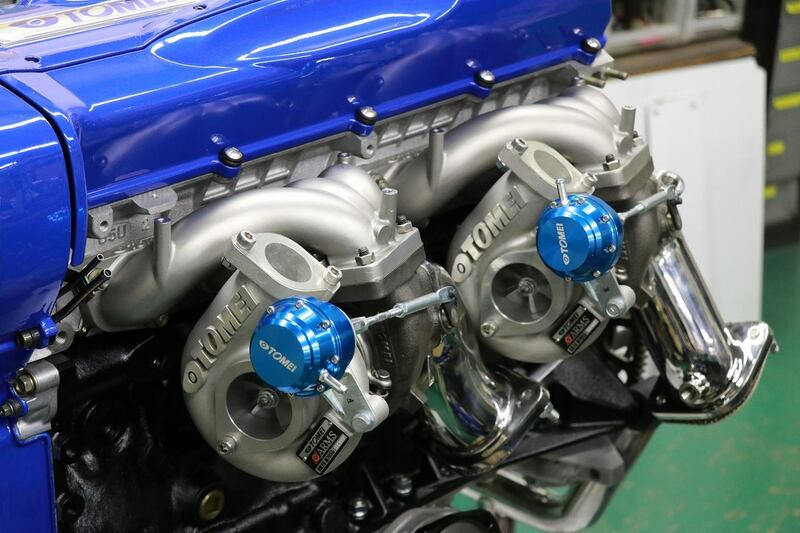 Some slight power improvements, but like nearly everything Tomei, quality products. All new Full Cast Exhaust Manifold for RB26DETT"
non welding one-piece structure made by full lost-wax casting ensures incredibly higher durability comparing to the old type which was weld-assembled structure made from pieces individually casted.